The Bills instantly added depth to their depleted offensive line following the trade of left tackle Cordy Glenn, agreeing to deals with Marshall Newhouse and Russell Bodine, with Buffalo confirming both deals. Bodine will receive a two-year deal and Newhouse will join the team on a one-year deal. Bodine’s pact will be worth $5MM, according to NFL.com’s Ian Rapoport (via Twitter). Newhouse’s deal is worth up to $2MM, according to Adam Caplan of SiriusXM (on Twitter). The 25-year-old center graded as one of the bottom-10 centers in the NFL out of last season’s qualifiers, according to Pro Football Focus. With other centers like Ryan Jensen and Weston Richburg off the market, Bodine served as one of the top players at the position still available in free agency. Newhouse, 29, started 14 games at right tackle for the Raiders last season. 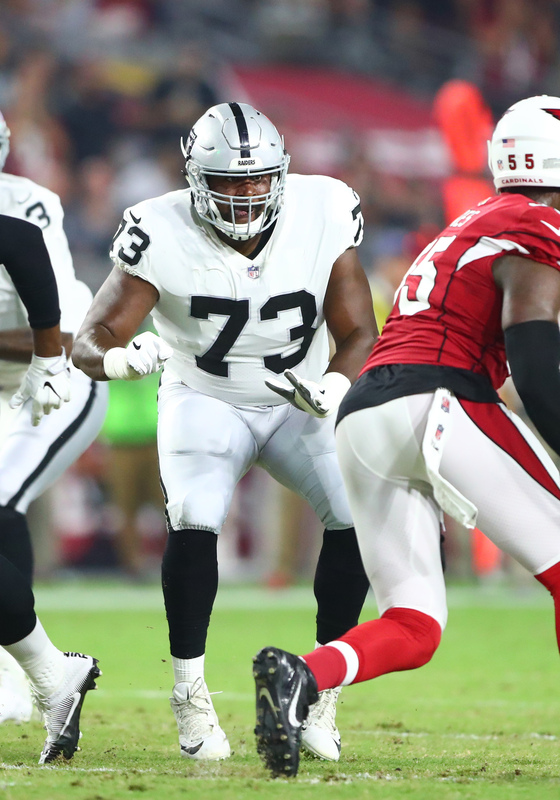 The Raiders released Newhouse earlier this month, a year into a two-year $3.5MM deal signed last offseason. Along with the trade of Glenn, the Bills lost Seantrel Henderson, who signed with the Texans this offseason. The Bills were set to enter the season with Dion Dawkins and Jordan Mills starting at tackle. Newhouse was graded in the bottom-third of tackle qualifiers last season, according to Pro Football Focus. He’s appeared in 100 games and has made 70 starts over a seven-year career, including stints with the Packers, Giants and Bengals. 2 turnstiles but they need depth. Hopefully Groy starts at C. They liked him enough to match Rams offer last year. Replace Mills via the draft like Glenn was replaced by Dawkins last year. Newhouse for depth. Have fun with Bodine … for the Bengals it’s addition by subtraction.